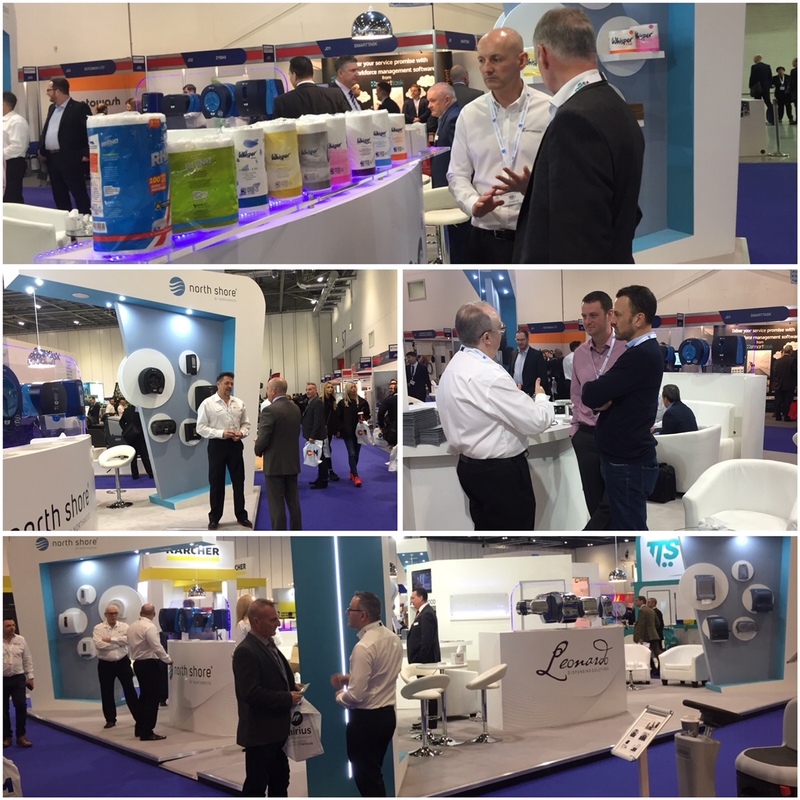 The Cleaning Show 2019 was once again a busy one. It was the first Cleaning Show for our new system brand – North Shore – the complete range was on show in all 3 colours. Visitors to the stand got to see its sophisticated, contemporary aesthetic that boasts industry-leading capacity and supreme cost-in-use benefits. Our popular Leonardo dispensing brand was also being showcased again in all 3 colour ways. Its BioKleen features were particularly popular this year with stand visitors as well as its infinity paper systems. Whisper – our luxury paper brand – exhibited its 3 new skus, Whisper Luxi hand towels, Whisper 320 and Whisper Super Soft and was received well by current customers and potential leads alike. For the first time ever Optimum ProWipers, the premium non-woven wiping collection, was at the Cleaning Show, this proved popular with new and current customers.